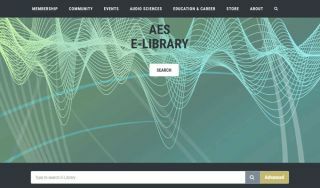 Audio Engineering Society members now have full access to the AES E-Library as a membership benefit. Full access to the E-Library is free to all membership types: members, associate members, and student members. A modest increase in membership dues—which have remained the same for more than a decade—will begin September 1, 2016. New members can sign up, and existing members can renew, at the current rates for the month of August. Multiple years of membership, up to five, can be purchased now at the lower rate. Membership dues provide the most significant funding of AES’s mission to promote and disseminate advances in the audio sciences and its practical application. To join or renew an Audio Engineering Society membership, visit http://www.aes.org/join/. As of September 1, 2016, annual dues for AES Members/Associate Members will be $125. Annual dues for AES Student Members will be $50.